Learn why fish oil is not as helpful as many people believe. In fact, for most people consuming fish oil going the wrong direction of favoring Derivative EFAs over Parent EFAs. See our scientific references! 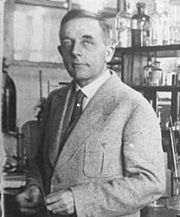 That’s why Dr. Warburg states that cancer... has countless secondary causes; but there is only one prime cause. Summarized in a few words, the prime cause of cancer is the replacement of the respiration of oxygen in normal body cells by the fermentation of sugar for energy creation. 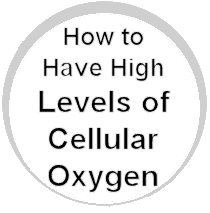 This, Dr. Warburg maintains, results when there is insufficient oxygen to meet the energy needs of a cell through oxygen respiration. Common sense would dictate that a prime cause should be dealt with first and foremost. Therefore, the prime counter to the prime cause of cancer would be to increase cellular oxygen. Of course, that isn’t what is being considered in today’s cancer prevention research. Instead, endless number of secondary causes are being explored while the prime cause is of little interest to most cancer researchers. if you suspect you have a health problem. These statements have not been evaluated by the Food and Drug Administration. Our products are not intended to diagnose, treat, cure or prevent any disease. Their sole purpose is to help the body function optimally.